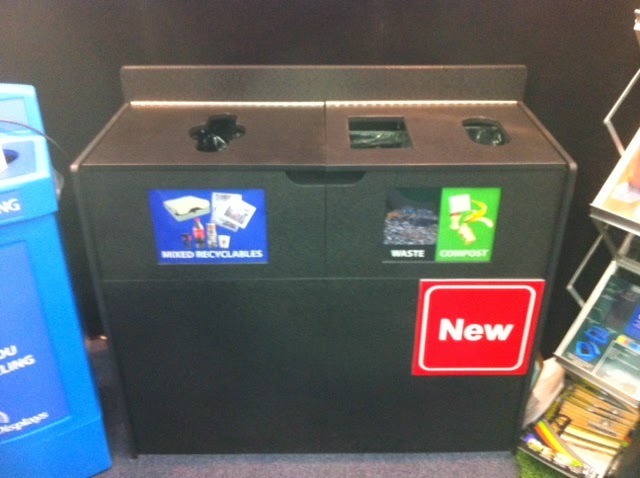 It’s been a busy few months at Classic Displays as our waste and recycling product line continues to grow. Just over a week ago, we had the pleasure of exhibiting at the NFMT show in Baltimore and we brought with us our latest recycling solutions. As mentioned in previous blogs, the prototype of the Griffin was unveiled in December of last year at the PM Expo, in Toronto. Once again the Griffin came with us to the NFMT show however this time instead of the prototype it was the proper base model of the unit, which again received quite a bit of positive feedback. Another new unit that has now been at two trade shows but we haven’t said too much about is the Centry, a lower cost yet eye catching interior bin. 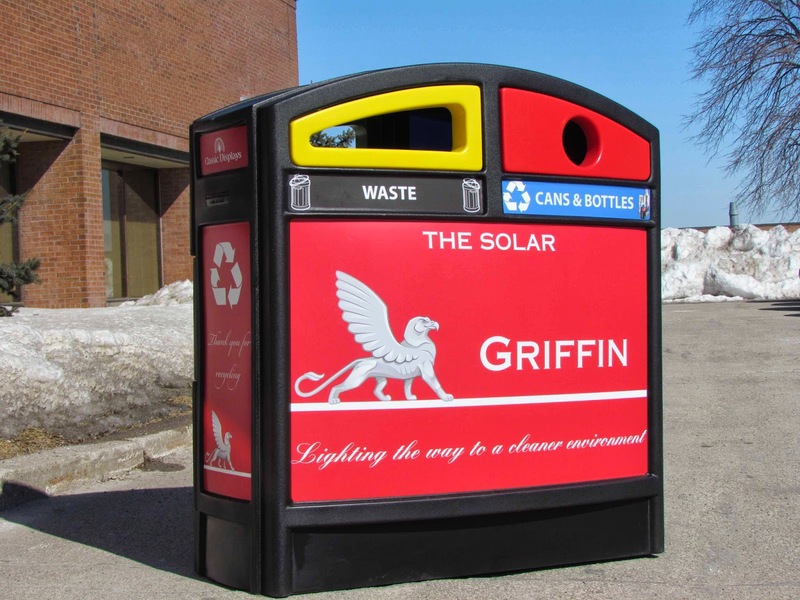 Available as a single or multi stream unit, the Centry is equipped with standard graphics panels to ensure proper waste disposal and also has larger, optional graphics panels on the front and sides of the bin. A user friendly unit, the Centry can be emptied where it’s located or, thanks to its rear wheels, can be taken to the dumpster. Something else we wanted to add to our interior recycling line was a more cost effective version of our popular Q Series. What resulted is what we call the K Series, a knock down, multi stream unit that features a narrow footprint which we unveiled for the first time in Baltimore. Our customers are always working with fixed budgets, and shipping, especially across the continent can play a major role in turning a reasonably priced product into an over budget one. This was one of the deciding factors in creating a knock down unit. 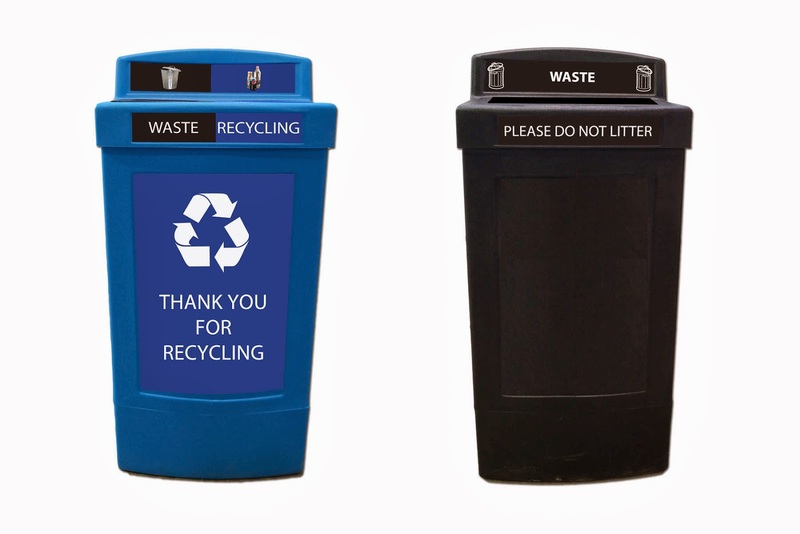 This easy to assemble unit can house up to four different streams of waste and recycling and it’s sack retention system lowers the cost of the unit further as recycled plastic liners are not required. The new additions to our product line really helps round out what we currently offer and based on the solid feedback we’ve received, seems to fit the bill for meeting the needs of customer’s that want a high quality product at a more reasonable price!